"בסכת תשבו שבעת ימים גו' למען ידעו דרותיכם כי בסוכות הושבתי את בני ישראל בהוציאי אותם מארץ מצרים"
From this we learn (a) The obligation to build a Succah with (b) S’chach made only for shade, like the ענני הכבוד in the desert and (c) The Succah is holy. The Gemara states: “just as Hashem’s Name rests on the Kodshim in the Bais hamikdash, so it rests on the Succah”. (Thus, you cannot remove anything from the walls or S’chach for personal use). The Baal Shem Tov said that Succah, like mikvah, refines you and draws down Divine light. The Mezritcher Maggid said that as a mikveh purifies, so Succah elevates. You live in a Succah like you in your home, and people generally have their own homes. Building a Succah is a mitzvah and is best performed yourself (primarily placing the S’chach), rather than through an agent. (The perspiration from building the Succah is a Tikun for חטא הידוע). If one cannot build a Succah on his own he should at least put up some of the S'chach himself. It an agent does it, it is best to verbalize "You’re my agent to build the Succah L’Shem Mitzvah". One should ideally not have his Succah built by a non Jew, especially not the S'chach. If a goy put up the s’chach, a Jew should add S’chach in an area of the Succah which was not yet covered, (or remove and replace S’chach), the size of a Tefach by tefach (approx. 8-9.6 CM), or even a thin piece of S’chach if it covers the length or width of the Succah. Begin constructing the Succah Motzei Yom Kippur (or at least discuss it) and try complete it the next day after Shacharis. Some construct the walls before Yom Kippur, and the S’chach after. The walls are constructed first, then the S’chach is put on. Otherwise the S’chach may have to be lifted and placed back down. A Rav should be consulted. It is forbidden to carve pessukim on fruit or the like and hang them as decorations. The decorations should hang within 4 Tefachim (32 cm / 12.5 inches according to Rav Avraham Chaim Naeh; or 38.4 cm / 15.1 inches according to Chazon Ish) of the S’chach. As long as the decorations are within 4 tefach of the S’chach, you may sit under them . The S’chach must be directly under the sky; not under a roof or tree. The Succah should be erected in a pleasant location with no foul odor e.g. not near the garbage (note: if there is a foul odor there is a problem with saying a Brocho). The materials used should have a pleasing scent, because a Succah is a holy place. However, if the materials used have an unpleasant scent, it’s permitted to sit in and make a brocho L’chatchilah.as long as the smell is not repulsive. In which one cannot eat, drink, walk leisurely, and sleep comfortably without any pain because it is not called a place of residence. However, if you are not afraid to sleep there at night, it is kosher. On public property such as a city street or a public thoroughfare. Some permit building a Succah on public property where authorization from the city is received (since the main concern is building without consent), but it must not be built in a hazardous area or blocking pedestrian traffic. If you did build your sukkah in one of these locations, do not bentch לישב בסוכה. Schach must be detached from the ground. If it is under a tree, that part of the Succah is possul even if the tree is high up. Any schach directly under the tree is possul. If the rest of the Succah has sufficient Kosher schach without the possul schach, so that there is more “shade than sun”, the succah is Kosher. Note - if the possul schach under the tree is the size of 4 Tefachim across the width or length of the Succah, the Succah may be possul. It is best to cut any hanging branches before Yom Tov to avoid a Shailah. If not, a Rav should inspect the Succah. If it is a fruit bearing tree, and thus there is the issue of בל תשחית and סכנה one should have a non-Jew cut it (and best to tell him specifically that he doesn’t want him to be his agent). When cutting a tree hanging over the Succah, one may not allow the branches to fall onto the Succah and be used as S’chach. They need to be placed by hand on the Succah. Otherwise there is the issue of תעשה ולא מן העשוי and the cut branches would require to be lifted a little and placed back down so as to have it put onלשם צל. Each branch would have to be entirely lifted. For the same reason it’s best not to erect a Succah under a laundry line with clothing on it. If the frame is used to support the S’chach on top of it, then (a) there must be more shade than sun from the kosher s’chach without the beams and (b) no beams should be 4 Tefachim wide or more, (and one builds proper walls for the Succah). If the above conditions are not met, and one wants to use (part of) the frame of the pergola itself for S’chach, a Rav should be consulted. If one has a prebuilt Succah cover, such as a Shlock, you first put up the schach and then put on the cover, because of תעשה ולא מן העשוי. If the Succah was mistakenly built while the cover was closed, the cover should now be opened and the schach has to be lifted a little and placed back down, so that it is regarded as if you built it now. Make sure each piece of Schach is entirely lifted. On Succos while the cover is closed the Succah is not kosher and one doesn’t fulfill their obligation and the brocho לישב בסוכה cannot be said. However if it's raining to the extent that one would have to go inside, it is preferable to sit in a Succah which has a closed covering rather than eating in one’s house. When yom tov begins it is proper to have the cover open so as to receive the holiness of the Succah with the opening of Yom Tov. Likewise it’s proper to have it open as much as possible through the Chag and not just when eating in it. A (manual) cover/shlack with hinges may be opened and closed on Shabbos and yom tov. The S’chach should cover the Succah so that there is more shade than sunlight, but not too dense, so you can see the stars. Some cover with S’chach densely and then make a hole through the S’chach to be able to see the stars. If the S’chach is so dense that rain cannot go through, the Succah is Possul. Mats that are made with a mechanism that prevent rain from coming in, are Possul according to many opinions. The S’chach should be put on the Succah specifically with the intention for shade. Placing the S’chach with the intention of using it for other reasons (e.g. for privacy, storage) is Possul. If there is non-kosher S’chach (or Kosher S’chach that has something hanging over it) the size of 4 Tefachim (approx. 32 cm / 12.5 inches according to Rav Avraham Chaim Naeh; or 38.4 cm / 15.1 inches according to the Chazon Ish) that covers the whole width or length of the Succah, the Succah may be Possul (depending on various details). However if there is non-kosher S’chach on the side of the Succah (right near the wall), we consider it an extension of the wall, as if the wall “bended”. It can then extend to 4 amos (6.4 feet according to Rav Chaim No’eh; 7.6 feet according to the Chazon Ish) away from the wall. So for example, if you have a room and the middle of the ceiling opens, as long as it is less than 4 amos from the wall, that wall is kosher for the Succah. However one can not sit under that area. If there is non-Kosher S’chach the size of 4 Tefachim by 4 Tefachim, one may not sit under that part of the Succah. According to some Poskim, even it’s the size of 3 Tefachim (24 cm, or 28.8 cm) by 3 tefachim, one should not sit under that area. (Note: in a Succah the size of 2.5 (or 3) feet by 2.5 (or 3) feet or smaller, the halachos are more strict). If there is an open area with no S’chach at all, the size of 3 tefachim going across the entire Succah, even if it's on the side (near the wall), the Succah may be Possul. If there is an open area of 3 Tefachim in middle, if it's wider than 1 Tefach and across the entire Succah, or it's wide enough to cover the a person’s head or the majority of his body, one should not sit under that area. The above mentioned Halachos are only a basic outline. In a relevant case, (e.g. when making a Succah under a building that has overhangs on top of the Succah), ask a shaila. The Possuk says “Chag HaSuccos Ta’aseh Lecha... B’aspecha Migornecha U’miyikvecha”. We learn out from this pasuk that the unused parts of the harvesting grain and wine, namely the stalks of grain and twigs of the vine, should be used for the Schach. Likewise anything similar to stalks and twigs that are no longer attached to the ground and can’t become Tamei, are kosher for S'chach. It has been disconnected from the ground. It isn’t a vessel or utensil which can become tamei. Leather, cement, all food, wood products that were cut or shaped or hollowed for the purpose to be used as a vessel or utensil, are unfit to be used as Schach. Bamboo poles, although hollowed, are kosher, since they grow natural. Similarly straight wood pipes, wood beams (that are meant to be used for construction only) would be kosher (as long as they are very small that they would not be used for roofing). Strips of lumber (2 x 4) may support the S'chach (Ma'amid) but not as S'chach itself. Reeds, straw, or wooden slats that are woven into mats for the purpose of sitting or sleeping upon etc are possul because they can become tamei. The S’chach needs to be able to withstand regular winds. If it can withstand such winds but you wish to tie it down in the unlikely event of a hurricane, you may tie it down with any material. This is because it is kosher even without being tied. Still, the S’chach may not be nailed down as this makes it a permanent ceiling while Torah wishes it to be a temporary dwelling. If however, the S’chach cannot withstand regular winds and without tying it down it would likely fly off, then Chachamim prohibited lechatchila tying the s’chach to the beams underneath it or tying the s’chach to the Succah itself, using anything that can receive tumah or that doesn't grow from the ground. The s’chach can only be tied down with string made of natural materials that grows from the earth and that did not go through any processing or restructuring; strings of metal for example, would be prohibited. The reason for this gezaira was that one should not come to use the tying materials (i.e. the rope or metal) as s’chach itself. All this applies also to the string that binds together the bamboo mats that are used for S’chach. If the walls are significantly lower than the S’chach vertically, it’s Kosher as long as they are at least 10 tefachim high from the ground, and within 3 tefachim from the ground. Horizontally the walls should be within 3 tefachim of the s’chach. The walls must be able to withstand normal winds at this time of year. If a Succah is made of canvas or cloth, it needs to be fastened securely on all sides so as not to flap in the wind. In addition, one should tie strings of wires around at least 3 walls of the Succah. The wires should be less than 3 tefachim (9.4 inches) apart from each other, reaching from the ground to 10 tefachim (2.63 or 3.2 feet) from the ground. That means you need to have at least 4 wires within those 2.63 (or 3.2) feet from the ground. The reason for this is that a kosher Succah wall only has to be 10 tefachim high, and only 3 walls are needed. Technically, a wire every 3 tefachim constitutes a kosher wall (lavud). Whilst we would not permit a Succah with wires only unless it was all four walls, in our case the combination of the wires on three walls and the canvas together makes the Succah kosher. Some Mehadrin canvas Succos already come with this. However some opinions disqualify canvas Succahs unless one made these lavud strings on all 4 walls, or there are 3 regular strong walls. Any material may be used for the walls. However, the S’chach should not be placed directly onto something that is mekabeil tum’ah e.g. metal, (or something that does not grow from the ground). So if there is metal etc., place some wood or bamboos etc between them and the S’chach. Bedieved the Succah is kosher even if it rests directly on metal. A fence with crisscross wires, both vertical and horizontal within 3 tefachim of each other (i.e. a chain link fence) is a kosher Succah wall. A Succah really only needs three walls - two adjoining complete walls plus a third wall that does not have to be complete. (There are many details in how to make this third wall). It is mehudar to have full four walls. It is perfectly okay to use walls of adjacent buildings as part of the Succah. Circular Succos are fine too as long as the walls cover no less than 180 degrees. If the Succah is not on cement, some make a special floor, and others davka don't. If eating on grass, make sure no liquid spills onto the grass on Shabbos or Yom Tov. (Note: sweeping a dirt floor, or even a paved floor (not a porch etc), is prohibited on Shabbos or Yom Tov). Decorations that fall off on Shabbos or Yom Tov are muktzah. During Chol hamo’ed too they may not be used for any purpose other than the Succah. Should decorations or S'chach fall on the table during Shabbos or Yom Tov, they may be removed even though they are muktzah since you need the space for eating in the Succah. Remember to put up an Eruv between the house and the Succah if you are in an area with no Eruv. If the eruv encloses houses or apartments with residents who are not eating together in the same succah, an Eruv Chatzeiros is also required. As there are many common problems with the way people make an eruv it is advisable to ask a Rav to assure that yours is correct. If your Succah was built but fell on Yom Tov you should ask a goy to put it back up on Yom Tov. To tell a goy to build a Succah on Yom Tov in the first place is forbidden. If it fell on Shabbos you should go to someone else's Succah. It is best to have the goy put up the Succah in a temporary manner, e.g. using boards held in place with a stack of chairs on either side. (A Jew would be prohibited to do this). Throughout Succos (including Shmini Atzeres except for those who have an alternative minhag) the Succah should be your home for meals, learning, entertaining guests and sleeping – unless one is מצטער. If it rains, one is exempt as below. Recite Kiddush, wash and eat a kezayis of challah in the Succah. Do not say Layshayv BaSuccah. (It is recommended to substitute the bracha with “Brich rachmana Malka d’alma asher kideshanu… ” so as not to recite G‑d’s Name in vain. Make sure though to say it after beginning eating so it should not be a hefsek). Complete the meal in the house. Make a mental note when you start that you intend to finish your meal in the house. Note – in order to bentch in the house, you must eat a little challah in the house too. On Yom Tov the total amount of challah you have to eat (in Succah and house combined) should be more than a כביצה. Make Kiddush and eat in the house. At the end of the meal, before bentching, eat a kezayis of challah in the Succah. If on the first two nights you could not start your meal in the Succah under any circumstances, but then, as time passed the weather changed, you must stop and continue your Seudah in the Succah, make the bracha Layshayv BaSuccah and bentch in the Succah. Therefore, when you go eat in the house because of the rain, have in mind that you may end up finishing in the Succah. If substantial rain streams through the S'chach, you need not remain in the Succah. Still, the Minchas Elazar has a teshuva on why to remain in the Succah even in the rain. If the Master spills water in the servant’s face, the servant should not run away but remain there subdued. Likewise we should remain in the Succah even in the rain. What Constitutes a Meal that must be eaten in the Succah? Those who are machmir take care not to have anything outside of the Succah except water. The mehadrin do not even drink water outside the Succah. Hamotzi and mezonos, over a כביצה must be eaten in a Succah, with a bracha Layshayv BaSuccah. If you’re snacking, you don’t need a Succah. If you are sitting down to an official “social gathering” or “coffee break”, you need to be in the Succah, but you do not bentch layshayv BaSuccah. With regard to the wine of Havdala, see below. If this is your meal, it should be eaten in a Succah but you do not bentch layshayv BaSuccah. Note - According to Shulchan Aruch HaRav, even if it is your meal, it does not require a Succah. Any amount may be eaten outside of the Succah. Who is Exempt from the Succah? The sick who feel discomfort in the Succah. The traveler, if no Succah is available. If it is raining according to the details above. Boys under the age of chinuch (five or six years old) may be fed outside the Succah. Over 5 or 6, the mitzvah of Chinuch mandates that the father make sure that his son does not eat outside the Succah. His mother and anyone else need not stop him if they see him eating outside the Succah. They may even place food him in front of the child. But they should not tell him specifically to eat outside the Succah and obviously not force-feed him outside the Succah. The Bracha is recited throughout Succos (excluding Shmini Atseres), as detailed above. On the first night, you first bentch Layshayv BaSuccah and then shehecheyanu. On the second night, first shehecheyanu. Others say Layshayv BaSuccah first even on the second night. One who makes Kiddush says Layshayv BaSuccah after Kiddush - Everyone else, after hamotzi. You always make hamotzi first. Then Layshayv BaSuccah. Then you eat. If one started eating but forgot to say the bracha, it may be recited at any time during that meal. Leaving one's permanent home to dwell in the Succah's less comfortable accommodations is an act of emuna and according to the Zohar, makes us worthy of a visit by the Ushpizin – Avraham, Yitzchak, Yaakov, Moshe, Aharon, Yosef and Dovid. Each night a different one leads. Some extend an invitation to them as printed in the Siddurim. The Ushpizin should be the subject of divrei Torah of that day’s ushpiz guest. It is best that every family obtain its own set. But one may buy Arba Minim together with a partner if necessary . When one uses a shul's Esrog he should contribute something to its cost so that it is considered his personal property. In these cases, it is best that each one say that he is giving his part as a present to the other partners, during the time that they fulfil the Mitzvah. Since the Arba Minim are passul if any of them were stolen, one should be careful to purchase them only from a reliable source. Likewise one should, lechatchila, make sure to pay the full amount owed on his purchase so he has full ownership before Yom Tov. One should not buy any of the Arba Minim from a minor (who is selling his own merchandise). As there’s so many laws regarding the 4 Minim, many people ask a Rov to inspect their 4 Minim. All the Arba Minim should be beautiful in its appearance and in the way it grows. An esrog may not have been grafted (murkav) with another tree e.g. a lemon. You should buy from a seller that is G‑d fearing, that he obtained it from a kosher orchard. Some only buy an esrog from a particular geographical area e.g. Kalabria in Italy (Yanover esrogim), as they have a masores for those orchards. Additionally, this area is called משמני הארץ. Nowadays, even these Esrogim need to be bought from experts who are G‑d fearing who verified that the Esrogim were not grafted. Each should follow his masores. Some esrogim, like Yanover Esrogim do not necessarily grow with pitams in the first place, which is perfectly acceptable. However, if an Esrog had a Pitam that broke off, it would often be passul. A Rav should be consulted because it depends when it was broken and other factors. The esrog should be as clean as possible, without any spots or discolorations. There are many laws regarding the different spots and discolorations on the Esrog. A Rav should be consulted. Ideally the Esrog should already be yellow and not still green. The Esrog should be complete without any holes etc. The minimum size of an Esrog is at least the size of an egg. You may not hold more than one Esrog. Minimum length of the spine (only the actual spine, which is the thick green part, not total length of the leaves that extends) of the Lulav should be 4 tefachim (= 15.12 inches/ 32 cm according Rav Avraham Chaim Naeh; or 12.6 inches / 40cm according to the Chazon Ish. The Lulav should be straight. The tip of the Lulav has to be intact. According to the Shulchan Aruch Harav, the majority of the leaves of the Lulav have to be completely straight, and not at all bent on the top. Others hold that if it the leaves (not the spine) are a little bent it is ok. (Some are even mehader to get a Lulav that the tip of the leaves are a little bent in (called a “keneppel”), ensuring that the tip is not split). Lechatchila the top leaf on the Lulav (called tyomes) must be complete with no opening on the top at all. Some are makpid to take a Lulav that has a brown film covering (called “moch”), since this insures that top of the lulav is not split, and that the tip of the Lulav is intact. Others are makpid to take one without the “moch”. Bedieved if it was split, it would depend how much it was split and if it was on the first two days of Succos or the rest of the days. On the first two days, as long as the majority of the middle leaf till the spine was not split, you are yotzeh bedieved and you may use it lechatchila if you do not own another Lulav. You would not need to take a Lulav from a friend. If the majority of the leaf were split, you are not yotzeh. On the rest of Succos even if split completely till the spine, you are yotzeh (even lechatchila). You are limited to one lulav only. One can add extra hadassim as desired in multiples of three, to beautify the mitzvah. Hadasim must be at least three tefachim long (9.45 inches / 24 cm according to Rav Chaim Na’eh, or 11.34 inches / 28.8 cm according to Chazon Ish). They should be meshulashim (all 3 leaves growing at the same height). One should try to get Hadasim that all 3 Tefachim are Meshulashim. If not it is kosher as long as the majority of the 3 Tefachim are Meshulashim. By Hadasim, there are many small groups of leaves towards the top, and towards the bottom the groups of leaves are bigger and spread apart. According to the Shulchan Aruch harav, you counts the overall amount of groups of 3 leaves within the 3 Tefachim, and the majority of that amount has to be meshulashim. According to the mishna berura, you measure the majority of the (3 tefachim on the) twig, and the groups of 3 leaves within that area have to be meshulashim. It is best that one should inspect himself the leaves to see that they are Meshulashim. No more and no less than two aravos. They must be at least 3 tefachim long. One should try to get Aravos that are the leaves are still on and complete. However as long as the majority of the leaves within the 3 Tefachim are still on it is kosher. If the majority of the leaves have dried out or fallen off, the Arava is passul. Often there is a need to replace them over Succos due to the fact that they tend to dry out quickly. The top of the twig cannot be cut. On the first (and second day), the lulav must be owned by the person bentching it. So, when you give it to someone else to bentch, it must be a gift with the condition that he returns it after. It is proper to actually verbalize this when giving it. Children - When you give a child under bar mitzvah, you face a problem because halachically a child can acquire a gift but cannot give a gift. So if you give him your lulav he cannot give it back to you as a gift. You will now not be able to bentch lulav on the second day nor would anyone be yotzeh after him. To overcome this, some suggest lending it to him. Others say the mitzvah of chinuch must be done the way the adult would do it, so lending is no good. There are various minhagim in how to act practically. Reb Moshe Feinstein suggests buying each child his own set, if one can afford it. Others rely on lending theirs to the child. There are other ideas beyond the scope of our discussion. 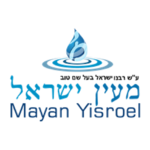 (In Eretz Yisroel, you simply have the child bentch after you are done on the first day. Of course if you have two children, the first child cannot give it to the second one either). The spine of the lulav should face you always. One minhag binds the three Hadassim to the right of the Lulav as it faces us and the two Aravos to its left. Another minhag has one arava on either side of the Lulav as it faces us. Outside of that is one hadas on each side and a third hadas in the middle. According to the Ari Zal you should bind the Arba minim on Erev Yom Tov in the Succah. It is best to bind the Arba minim yourself, or at least by another man over bar mitzvah. The Lulav should always be in your right hand and the esrog in the left including during Hoshanos. People don’t know this and hold them both in one hand to be able to hold the Siddur comfortably but this is incorrect. Left-handed people take the lulav in the left and the esrog in the right. (Some recommend following both ways and shaking the lulav the other way afterwards, to follow all opinions). All four of the Arba Minim must be grasped together at once and in the manner in which they grow (derech g'dilasam). There are various minhogim about the most opportune time to bentch lulav. On the one hand you want it to be immediately before hallel, without any hefsek. On the other hand, you want it to be in the Succah. Another factor is “zrizin makdimin”, rushing to do the mitzvah as early as possible. Some bentch right before hallel even if there is no Succah. Others bentch before hallel only if there is a Succah. Others bentch before davening in the Succah even if there is a Succah in the shul. One should not eat and drink before bentching lulav, not even tea or coffee. Women who plan to bentch lulav should not eat a full meal with hamotzi before lulav if they are not weak, but may drink and eat mezonos even lechatchila. Minhag One - Pick up the Esrog with the Pitam facing downward and the stem (where it was cut from the tree) facing upward. Bentch Al Netilas Lulav. On the first day (or the first time you use the Lulav), add Shehecheyanu. Upon the conclusion of the Bracha, turn the Esrog over with the Pitam now facing upward. Hold the Esrog and Lulav together. Another minhag is to recite the bracha holding only the Lulav but with the Esrog unwrapped ready to be picked up immediately upon completing the bracha. (Shulchan Aruch Orach Chayim 651:5). Minhag One - You face eastward (Mizrach) and gently shake three times pointing in each of the following directions: Front (Mizrach), Right (Darom), Back (Ma'arav), Left (Tzafon), Above (Ma'alah), Below (Mattah). Never turn the Lulav over. Another minhag of na’anu’im advanced by the Ari haKadosh and adopted mainly by Chassidim: Right (Darom), Left (Tzafon), Front (Mizrach), Above (Ma'alah), Below (Mattah), Back (Ma'arov) - (Orach Chayim 651:10). Take care not to wave the Lulav too forcefully - the upper leaves could separate widely, splitting the tip of your Lulav and rendering it potentially passul. If you don’t have arba minim, borrow from someone who does and circle after they do. An avel for parents does not circle the bima during the full 12 months. He should let someone who does not have his own set of arba minim circle with his set. The Lulav may be placed back into the water if you wish to keep it there, even on Yom Tov. You can even add water on Yom Tov (not on Shabbos), up to 50% of what is there already. But the water may not be changed. Note that usually, the Lulav can be kept fresh if covered, even without water. The Arba Minim and S’chach may not be disposed in the regular garbage but should rather be burned or disposed of in another respectful way. Often, there is a special pick up arranged with the sanitation department for S'chach. If you must put them in regular garbage, bag them separately in a non-see-through bag and dispose. Some gather the Lulavim in shul and burn them when baking Matzos, or with the burning of the chametz while the Esrogim are made into jam after Yom Tov. It is a mitzvah d’oraisa to make one’s wife and children joyous on Yom Tov. This is accomplished by buying her an outfit or jewelry; and for the kids something exciting too. It is imperative that we ensure that our fellow Yidden have everything they need to celebrate Yom Tov. It is important to have a 24-hour candle (or a gas fire) lit so that you have an existing flame to light candles from on the second night and to cook if needed. Every day of Yom Tov and chol hamoed, one should drink a reviis of wine. Simchas Bais Hashoeva is celebrated with great simcha nightly on Succos. Before lighting candles, extra Tzedaka is given, for two days of Yom Tov. Candles should be lit before sunset (or 18 minutes before) like on an Erev Shabbos. If for whatever reason, you did not light then, they should be lit before the Seudah at night from a preexisting flame. Those that are eating elsewhere do not forget to light candles in your own home or to arrive at your host before Yom Tov begins, and light candles there. It is best to light candles in the Succah and to leave them there after lighting. If there are safety concerns or there is no space for the candles, you may move them into the house. But first use the light of the candles for something so that there was a purpose to the lighting here. If you can, leave at least some of them there. Either way, it is important if at all possible, that the candles be in a place from which they can be seen whilst making Kiddush. First bentch Layshayv BaSuccah and then shehecheyanu. We dip the challah in honey. Some dip later in salt as well. Only after nightfall (tzeis) may preparations for the second day begin. Those that are not eating at home do not forget to light candles. On the second night, first shehecheyanu and then layshayv baSuccah. From today on, bentch Lulav with one bracha only. No shehecheyanu – unless, for whatever reason this is your first time bentching Lulav. If you forgotיעלה ויבוא repeat Shmone Esrei. There are differences of opinion regarding saying the bracha Layshayv BaSuccah on the Havdalah wine alone. Therefore, after Havdala, some say you should bentch Layshayv BaSuccah and others say not to. There are those who resolve this by eating hamotzi or mezonos after havdala since they require Layshayv BaSuccah according to all. Sholom Aleichem and AIshes Chayil are recited softly. Kiddush begins Yom Hashishi and continues into the Shabbos Kiddush. Bentch layshayv BaSuccah. If you forgot יעלה ויבוא repeat Shmone Esrei. The main simcha of yom tov in the times of the beis hamikdash was eating the meat of the korban shlamim. Nowadays as well, there is a mitzvah to eat a כזית of meat each day. Meat is best, but bedieved, chicken is also considered meat. Although there is no obligation to eat hamotzi, many say it is proper to eat bread every day of yom tov. .
We drink a רביעית of wine every day. Some hold that women too should drink wine - or grape juice. One should preferably wear yom tov clothing on chol hamo’ed. The table should have a yom tov tablecloth on. The default setting in halacha is that Chol hamoed has the same prohibitions as Yom Tov, for both men and women. E.g. Laundering (except baby clothes), haircuts and nail cutting are forbidden. The above forms of work are only permitted if you didn’t knowingly plan to push them off davka to chol hamo’ed. Actions that are Rabbinically forbidden on yom tov eg. Driving a car, are permitted on chol hamo’ed. Asking a non Jew to do melacha which is forbidden to do on chol hamo’ed is forbidden, unless it’s for a mitzvah e.g. a goy may not build your house for you or fix your car if you may not do it yourself.